Okay, okay, I may have posted some of these in other posts, this time I did not keep track. I had a ball and Allee’s shows on may 8th and 9th were an absolute smash. 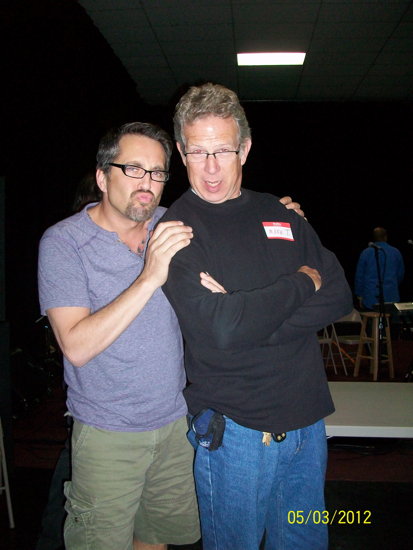 Here are a bunch of pics of the people that worked behind the scenes or on stage with Allee. 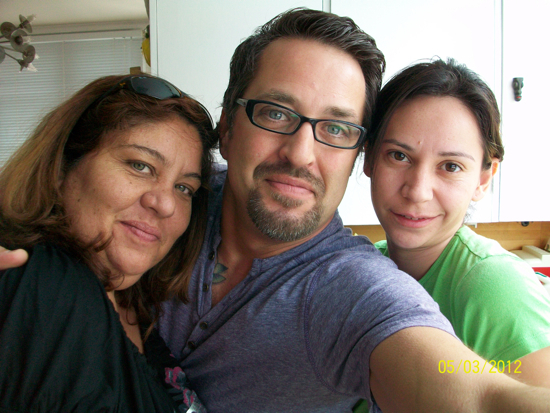 Here I am with the lovely Dina and Sue Ellen. They see to it that Willis Wonderland runs smoothly. 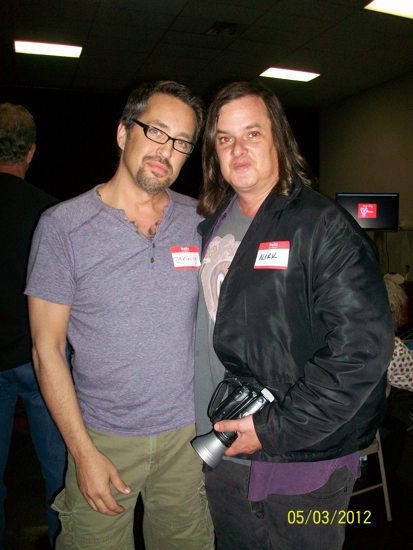 With Mark Blackwell, Allee’s videographer. With Khadia, she was one of Alee’s backing vocalists. Don’t get me started here. This man just kills me. I had the best time working with him and he quickly became a new bff. We can have several bff’s can’t we? This was on may 9th. 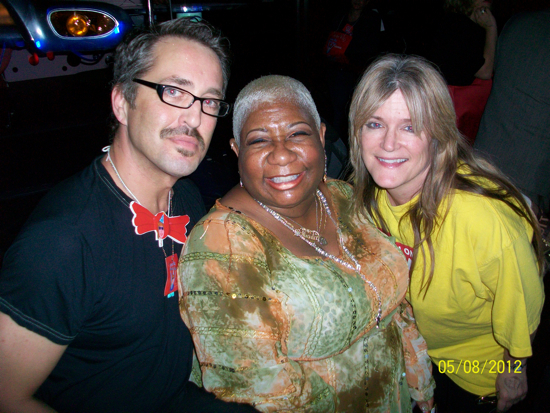 Here I am with Luenell and Susan Olsen. Amazingly funny women! Like my bow tie? 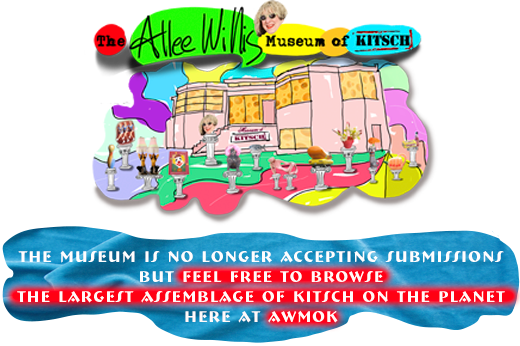 It’s a limited edition Allee Willis prop that now resides in my collection. 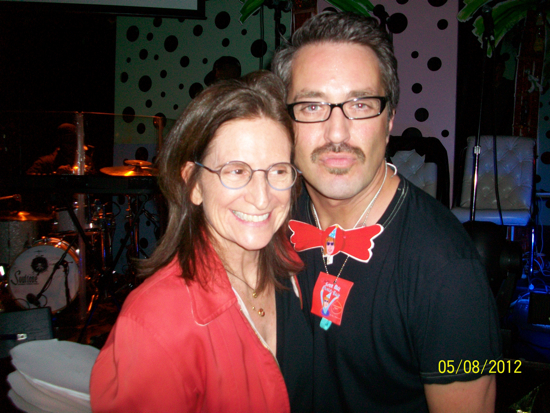 Yes, it’s a tie and NOT a butterfly like some people thought…. The amazing Snappy-P from the “The House of Prudence”. 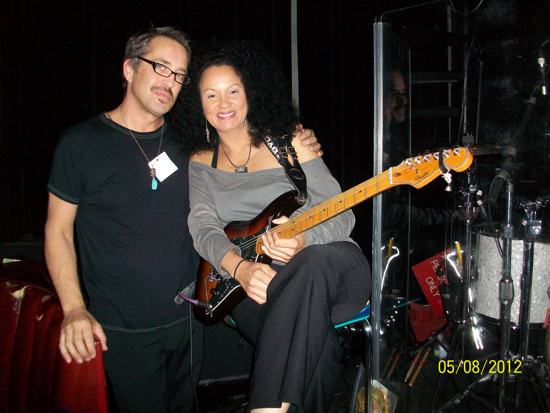 With Darlene,who could really play guitar. Needless to say, I adore each and every person in these photos. Every single one of him makes my life run a little smoother, certainly including you, Denny! Trillions of photos from my Super Ball Bounce Back Review coming this Monday!! I really had the best time. I have one memory that really stands out from the whole experience. The moment I am writing about was when the dancers made their way to the stage. The look on Allee’s face was pretty priceless and the audience was pure love. It was an emotional and truly wonderful experience. Watching the faces on everyone in attendance = priceless. I haven’t wanted to say anything for fear you would think I was trying to pressure (the last you need) but now I can say it…….. I can’t stand the waiting! Please post soon!!!!!!!!!!!!!! Susan Olsen from the Brady Bunch! She is also Iamfluff here at AWMOK.